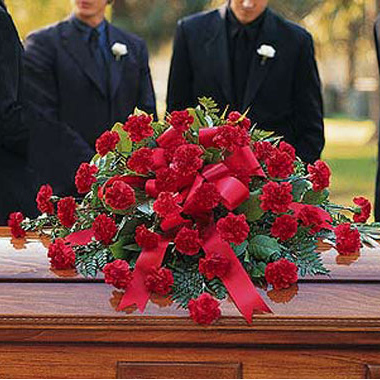 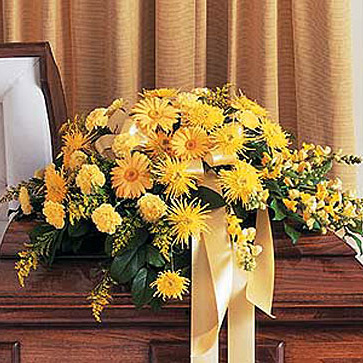 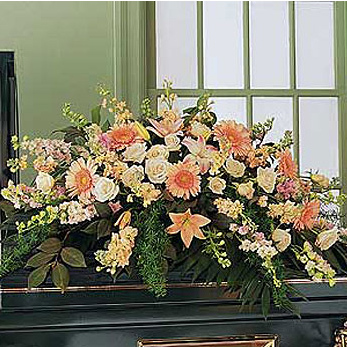 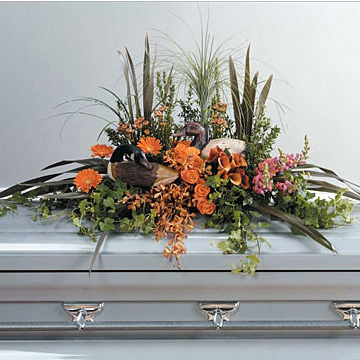 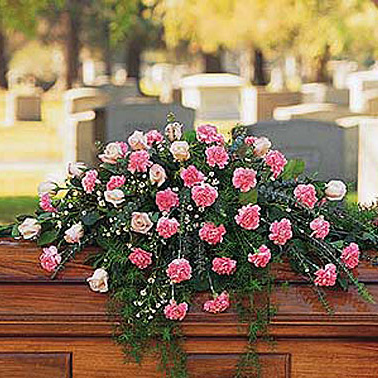 Casket sprays (Casket Pieces) are floral designs that adorn the top of the casket. 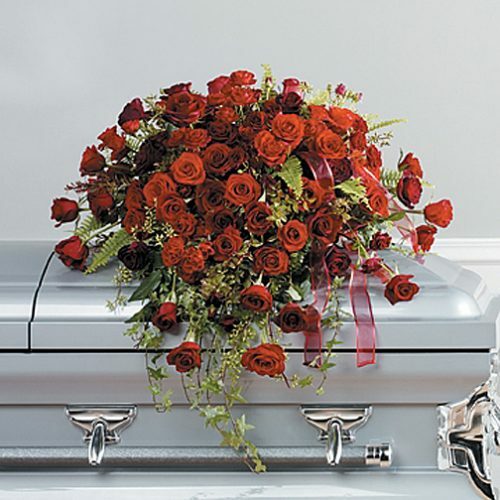 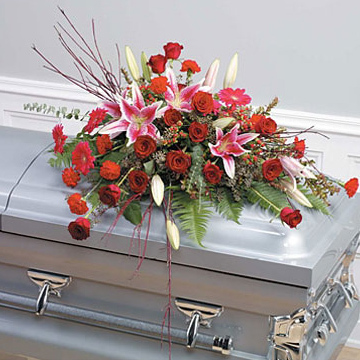 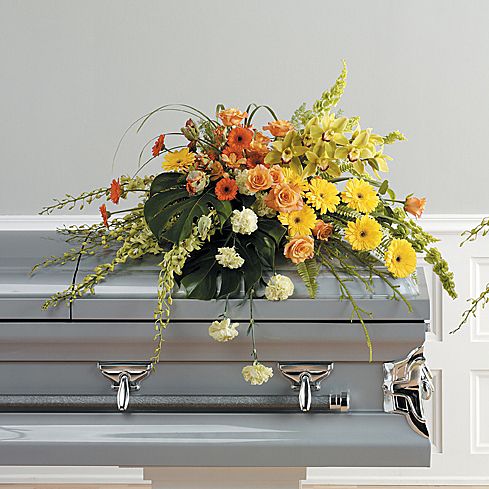 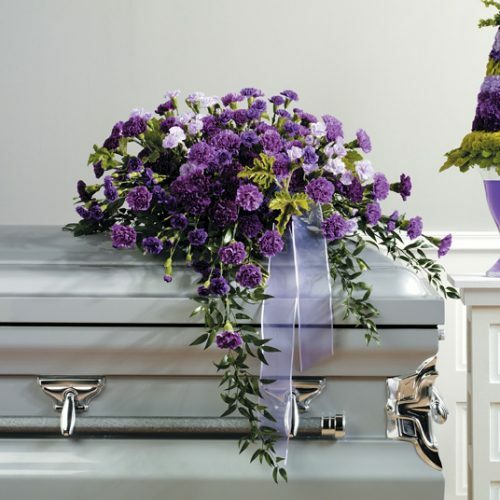 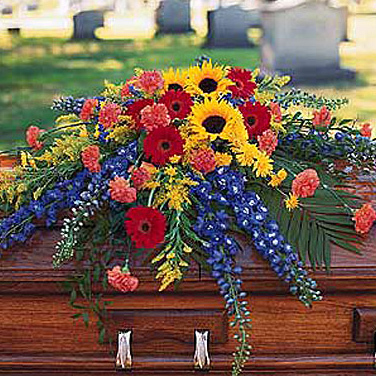 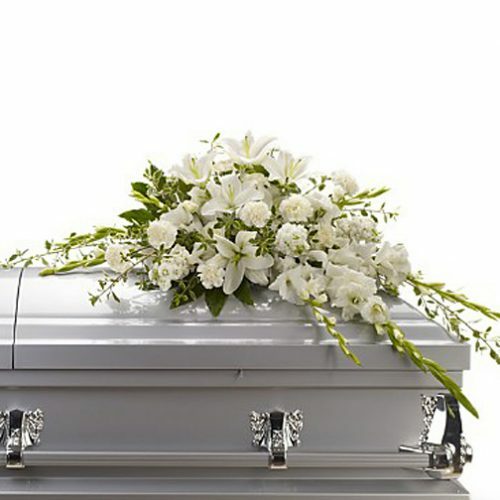 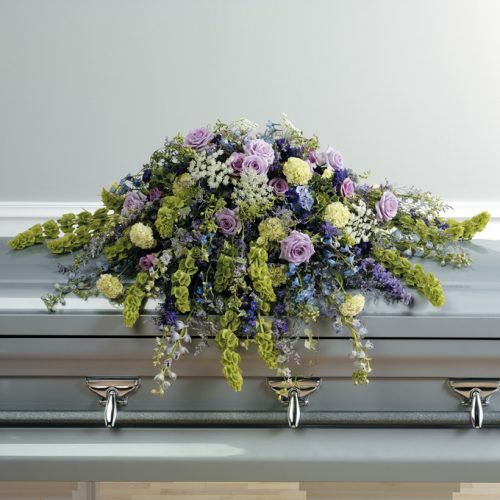 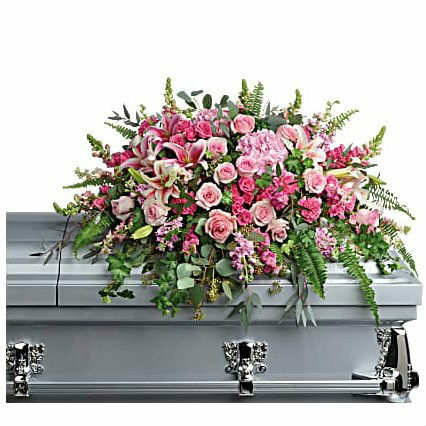 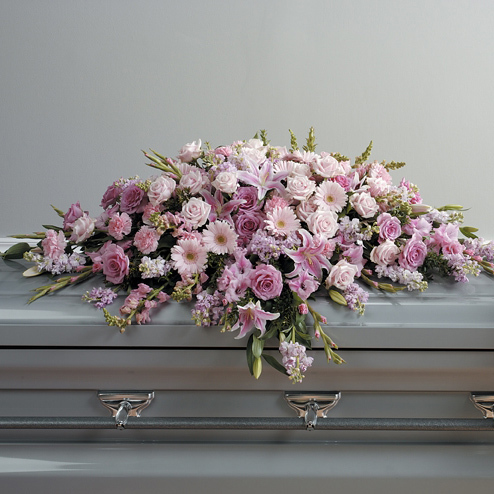 They are usually ordered by the immediate family – a spouse, parents or children; and often include the favorite flowers or colors of the deceased. 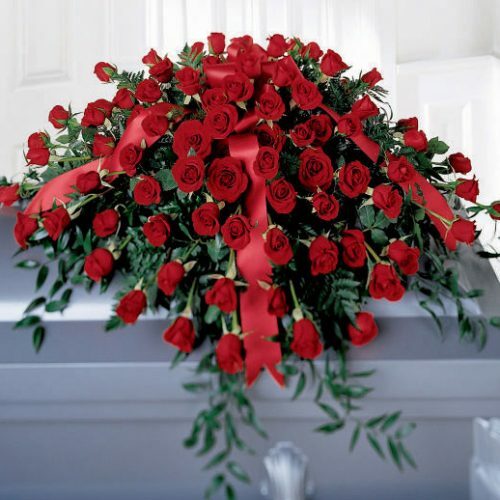 Order online or call us at 1-800-407-8141.